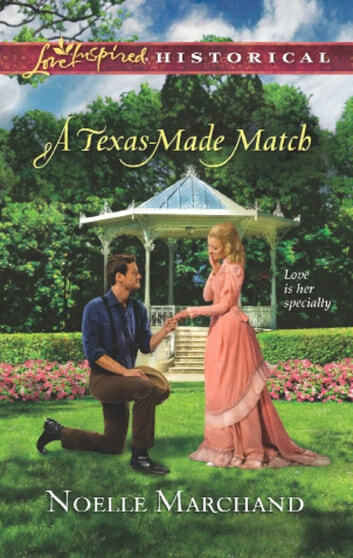 MATCHMAKER–MATCHED! For Ellie O’Brien, finding the perfect partner is easy—as long as it’s for other people. Now the townsfolk of Peppin want to return the favor. But how could Lawson Williams be the right choice? The handsome ranch foreman was her childhood friend, but he’s the man Ellie deems least likely to court a tomboy with a guilty secret. Lawson can’t help enjoying the town’s efforts to push him together with Ellie, though marriage isn’t in his plans. Yet Ellie’s become a warm, spirited woman who could chase away the clouds of his past. And with a whole town on their side, they could claim a love as big and bold as Texas itself….